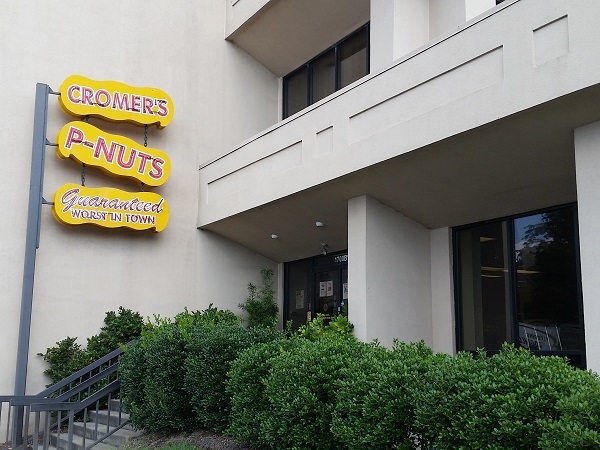 Cromer’s P-Nuts, Columbia SC – Marie, Let's Eat! My daughter and I went to Columbia to visit the campus of the University of South Carolina, and give her a first proper college tour. She really, really liked the place, far more than I was expecting. Within a few weeks, to be honest, some of the shine and excitement had ebbed somewhat, even after buying a T-shirt (blast it, campus bookstore prices are criminal at every darn college, aren’t they? ), only to resume, happily, in the last week, and the visit did wonders for her self-confidence and drive. It’s entirely possible that she might apply here a year or so down the line in the hopes of getting a degree in management, and if she does, we found a great place for her to get a terrific cup of coffee. 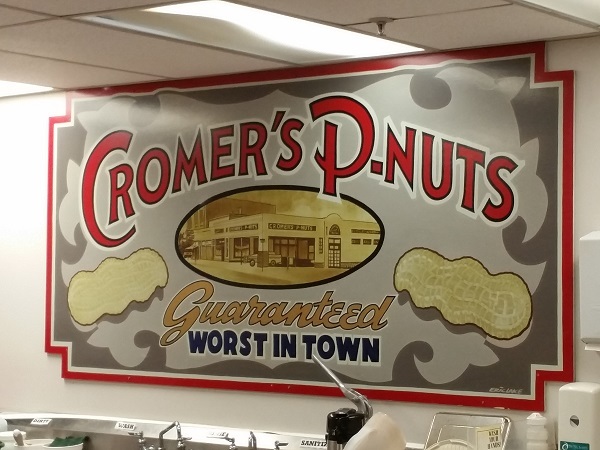 In one form or another, the delightfully eccentric Cromer’s P-Nuts has been around since 1935. I first read about it in John T. Edge’s Southern Belly and was completely charmed. 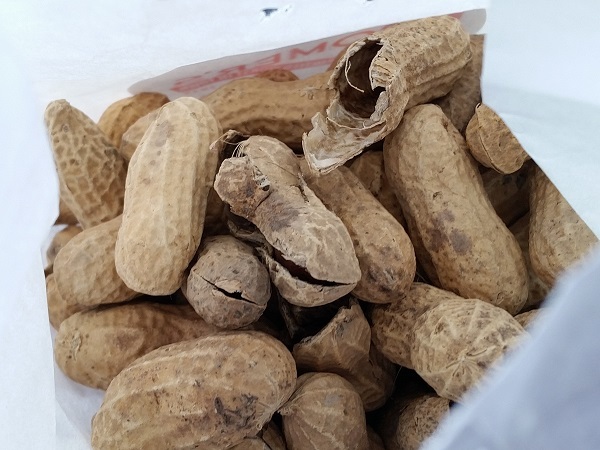 Julian Cromer was selling produce from a small stand at the local farmers’ market and got on the bad side of a competitor when he added peanuts to his offerings. The other fellow started shouting that Cromer’s peanuts were no good, to which our man replied that was absolutely correct. His peanuts were, in fact, the worst in town. He ran with that and got a crowd by marketing how lousy he was, beating Harvey Kurtzman and the original Gang of Idiots at Mad to the punch by twenty years. 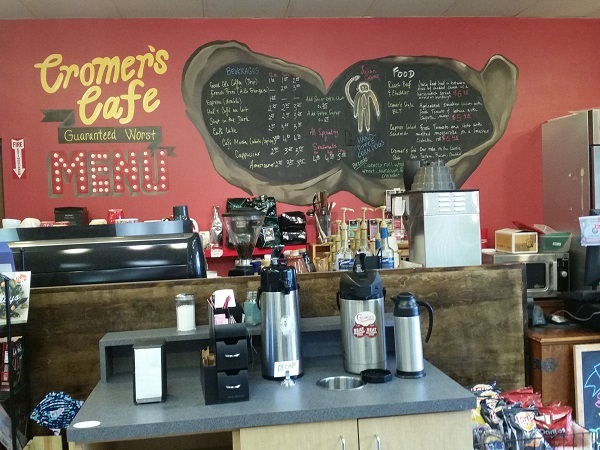 I thought that Cromer’s would be a quick little stop for a snack and the amusement of the goofy advertising, but it turns out they have a small cafe in the store, serving sandwiches and coffee. The girlchild had their version of the usual iced sweet cappuspresso mess that she gets at Starbucks, but raved that this was much better. She admittedly was not entirely charmed by much of Columbia too far away from of the Horseshoe – the USC version of a main campus quad – but this might be a fine little getaway for her one day. Most of what they sell at Cromer’s are peanuts, popcorn, and carnival candy. They rent machines for parties and fundraisers, and Friday evenings in the fall are probably not the best time to stop in for an eight ounce bag of roasted peanuts because there’s usually a long line of people coming in with pickup trucks to grab their equipment for the weekend. Saturday mornings when the Gamecocks have a home game are possibly worse, with mobs coming in for tailgating supplies. The only strike against Cromer’s becoming a regular stop for my daughter – or any undergraduate for that matter – is that it’s very badly located, on the outskirts of downtown on the ground floor of some blocky office building. That probably makes some sense for all the drivers who need to load cotton candy and popcorn machines into their trucks, but inconvenient for anybody other than nearby office workers for a quick lunch or cup of coffee. 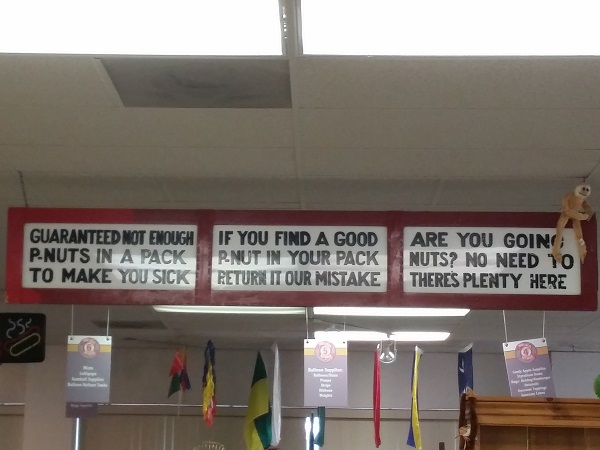 On the other hand, that was a mighty fine bag of roasted peanuts that I bought, and worth a little inconvenience! Posted on September 18, 2015 August 23, 2017 by Grant G.Posted in columbia, south carolinaTagged columbia, peanuts, south carolina, southern belly. oooooooo, what a good picture! Those peanuts look terrific.